Update: Reebok has confirmed that Cam’s pink and purple sneaker arrives 4/20. With the long-awaited sequel now officially on the way, Cam'ron says he has teamed up with Reebok to design a sneaker celebrating his 2004 masterpiece Purple Haze. "I got a deal with Reebok," the Dipset capo told The FADER on Thursday afternoon, speaking from the road to Boston, where the athletic company's headquarters are located. "We're doing all the finishing touches on it right now." 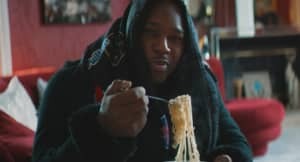 Ever-hustling, Cam'ron kicked off the campaign for what will reportedly be his final album, Purple Haze 2, earlier this year with a shout-out track "U Wasn't There." Additionally, he has launched a new web series, Giles Investigation, in which he reconnects with clients from his deal days; watch the first episode of that here. Update: 3/7/2015, 1:30 p.m.: Reebok confirms the collaboration, shares additional details. On Monday morning, a representative for Reebok confirmed the Cam'ron collaboration and shared a few additional details. The shoe will be a part of a very limited run: just 500 pairs, and only one planned drop. They will come packaged in a special purple box and with a purple jump drive that holds a new Cam track that was produced by Greg Korbas. According to new information from Reebok, the purple packaging only applies to the sneakers that will be specially seeded.